While the Rye Arts Festival hosts over 60 events across a wide spectrum of the arts at its core remains the classical music programme. And at the heart of the classical music is the piano which this year features both young talents and established musicians with an international reputation. World class musicianship is assured. 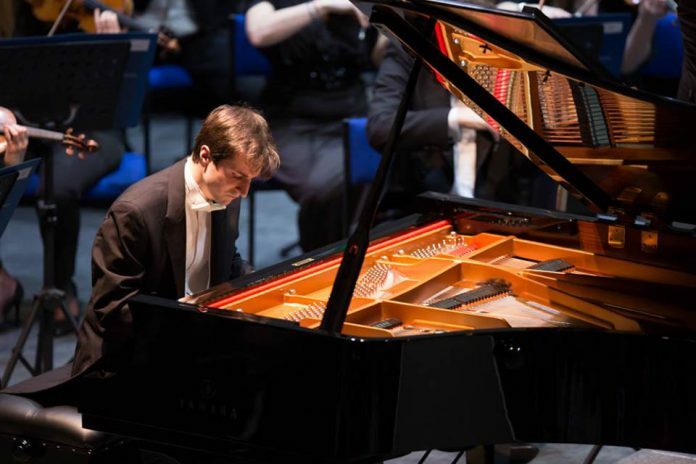 For the third year running a concert has been offered to the winner of that year’s Hastings International Piano Concerto Competition – one of the World’s premier competitions for young pianists. And Rye Arts Festival is delighted that Kenny Broberg, the 2017 winner, is flying back to East Sussex from his studies in Missouri, USA and will be performing at St Mary’s Church on the evening of Wednesday September 20. Kenny’s recital will start with pieces by Franck, Bach and Barber, and after the interval he will play Franz Liszt’s Sonata in B Minor, which is recognised as both one of the greatest and most challenging pieces in the piano repertoire. The audience will not be disappointed by this brilliant 24-year-old! Ahead of Kenny’s concert, in the afternoon the Festival will be screening The Battle of Hastings at the Kino Digital cinema at 3:10 pm. This 2015 documentary shows the drama, passion, heartache and joy of all the 38 finalists as they are whittled down to the winner, the commanding Russian pianist Alexander Panfilov who delighted the Rye Arts Festival audience later in the year. This is a mesmerising insight into young musicians and was directed by the twice Oscar-nominated Mike Figgis. Pianist Daniel Grimwood is playing at 7pm on Wednesday September 27 at St Mary’s Church with a programme that includes Chopin, Liszt and ends with Rachmaninov’s Sonata No. 2. Purists should note that this is the original 1913 version and not the revised and confusingly, 1931 edition of the Sonata. Grimwood is a talent not to be missed and one of whom the English music critic Felix Apprahamian says is “probably the finest all-round musician I’ve ever known”. And on Friday September 29, Alisdair Kitchen who, as the musical director of Euphonia, has brought six different operas to Rye in recent years to huge critical acclaim, as well as two performances of Puccini’s La Boheme this year on Saturdays September 23 and 30, is displaying another of his many talents. He is a Royal College of Music trained pianist and will be playing at a lunchtime recital at St Mary’s Church with tenor William Wallace. 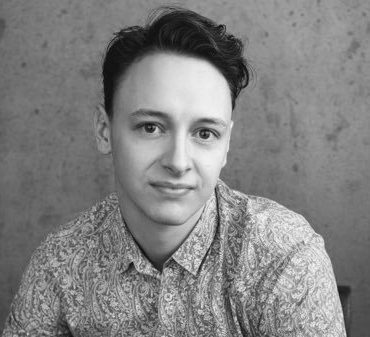 William is a long-time collaborator with Alisdair and was Quint in last year’s Benjamin Britten opera The Turn of the Screw. This year they will perform Britten’s Winter Words and Schumann’s Dichterliebe. 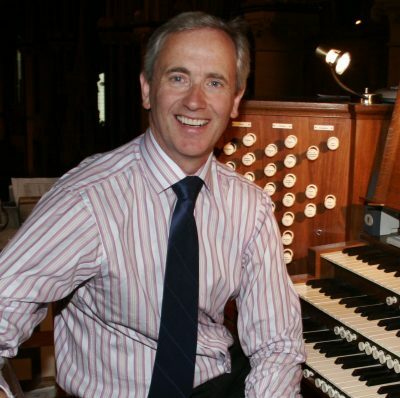 Last, but very far from least, the Festival is thrilled that it has been able to secure a concert by Dr David Flood, choirmaster and organist at Canterbury Cathedral. David will, of course not be playing the piano but St Mary’s church organ at 1pm on Tuesday September 19. 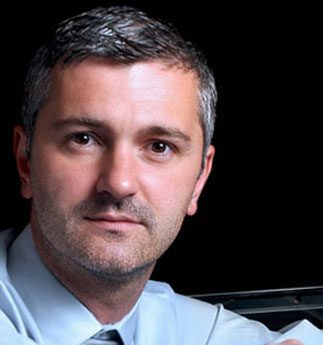 Since he is in huge demand to play recitals in the UK, across Europe and at least twice a year in the United States , the Festival organisers are very excited to have such a truly world class musician coming to play in Rye. David’s programme includes pieces by Bach and Mendelssohn as well as Elgar’s Pomp and Circumstance March No. 4, before closing with Widor’s Toccata from Symphony V which has been played at the end of millions of wedding ceremonies. It will provide a joyous conclusion to a recital that is not to be missed. To find out more about these and the other 60 events in this year’s Festival, as well as to book tickets online, go to www.ryeartsfestival.co.uk or telephone the Box Office on 01797 224442.